The Jomsom Trek is one of the most popular and admired treks in Nepal. Jomsom is the gateway of the Nepal's hidden treasure" Mustang", the trekker can see the landscape of mustang and reach to the Hindu's and Buddhist's sacred pilgrimage Muktinath. Jomsom Trekking offers fantastic Himalayan views, beautiful landscapes trail, kali Gandaki valley (the deepest gorge in the world) and famous apple garden in Marpha and Tukuche. It is one part of the Whole Annapurna Circuit with different spectacular views of mountains above 8000m; Mt. 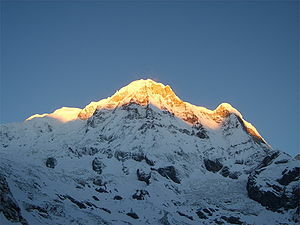 Dhaulagiri [8167m], Mt. Annapurna I [8091m], Machhapuchhare, Lamjung Himal, Dhaulagiri and many more in Jomsom Trekking in Nepal. The Trekking area situated on the dry, desert- like Tibetan Plateau allows access to the high mountains of the Himalayas within a reasonable timeframe and without ascending to adventurous altitude. Jomsom Trekking is easy moderate trekking can be done from Pokhara by flight to Jomsom or Pokhara This Jomsom trek offers an excellent hotel facility. If you are keen to held on to your home comforts. Never raising above 3000m the trek further more presents few altitude problems. 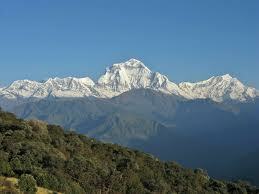 Nevertheless, you are rewarded with some spectacular and unusual views of the high Annapurna Region and Kagbeni. A trek of the narrow Kali Gandaki valley, the deepest gorge in the world will bring you almost to the base of Nilgiri and in to the Mustang area. We explore a day around ancient muktinath temple; pagoda shaped temple of lord Bishnu, the center for pilgrimage. The marvelous mountains views are breathtaking although clouds roll in early morning. 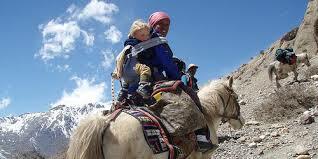 One can also enjoy the diverse culture of various communities and their traditional lifestyles during Jomsom journey. Very warm 'Namaste' (welcome in Nepali) for your great journey with us. We will meet at the Kathmandu, Tribhuvan International Airport and would drive to your hotel. As you get ease and freshen up after your long fight, we humbly request you to visit at our office for a briefing about your program. You will have meeting with your trekking guide and discuss about the equipment needed for the trekking and we will process for the trekking permits. If you arrive at night we will have same discussion in next day morning after your breakfast. The next morning after breakfast you will leave for a full day sightseeing tour around the Kathmandu valley. You can pay your homage visiting center of pilgrimage Pashupatinath Temple (for Hindus) and Swyambhunath (for Buddhists). 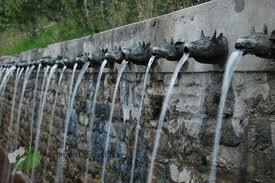 These are very ancient and historical pride of Nepal importantly enlisted in UNESCO World Heritage sites. The biggest Buddhist Stupa at Boudhnath and the fine arts and historical architecture of Kathmandu Durbar Square reflects the uniqueness and diversity in Nepalese culture. On journey back to hotel, you can travel around the local areas, gullies and lifestyle. You can perhaps take relaxed walk through the famous streets like Thamel. After having your breakfast in Kathmandu, we can drive you to the Domestic Airport to take a 25 minutes flight to Pokhara or if you wish to explore Nepal more you can take a Tourist bus to Pokhara about 6-7 hour. Drive includes short stops for lunch and breakfast and guarantees enjoyment of charming beauty all the way around. In the evening, a boating trip on Phewa Lake will be followed where you can pleasure the spectacular views of Annapurna Himalaya Range reflected in all its glory in the calm green water of the lake and also visit Bindavasini Temple lying uniquely in middle of the lake. A spectacular flight day to Jomsom, the districts headquarter of Mustang district. From Jomsom, you can have some spectacular snaps of Nigiri, Dhauagiri and Tukuche peaks. Work about 3 hrs through the bank of Kali Gandaki and reach to Ekley- bhatti village. Trek one hour more to reach Kagbeni lying at the bank of two rivers.Kagbeni still feels like a medieval village, with its closely packed mud houses and dark tunnels. 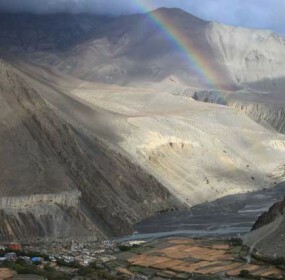 Situated at an auspicious river confluence, it is also the gateway to Upper Mustang. Get an early start from Kagbeni to avoid the winds that amazingly whistle up the valley after midday. Gradually ascends to Muktinath, most important pilgrimage site for both Hindus and Buddhists. As you enter the walled complex, lined by Tibetan style prayer wheels, you pass first the Gompa Sambha (monastery) and then a Lord Shiva Temple ringed by four shrines. The focal point of the complex is the pool and its 108 brass water pouts, cast in the shape of cow's heads, which pours forth sacred water. Hindu Pilgrimages bathe in the frigid water. This a center place to show the religious tolerance among Nepalese. A short walk to the left is the Buddhist Marme Lhakhang, whose central is image is of Tibetan Buddhist sage Guru Rinpoche, here holding a Hindu style trident. 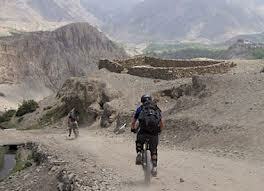 The trial descends very quickly to the valley floor more than 5,000 ft. below through a dramatic arid landscape. From Muktinath to Jomsom, we see people from Mustang who comes to sell handicrafts to pilgrims. Among them merchandise is the highly revered mollusk fossil called Shaligram. We will pass some ancient caves and view the impressive white snow capped mountains. We transit at the significant town Kagbeni. Enjoying the plateau we will reach Jomsom by vehicle or walk to Jomsom and spent the night. We take our next flight back to pokhara and spent a day here. You're free here to feel the moderate climate and sceneries of this Magic land or Dream Land of Nepal. 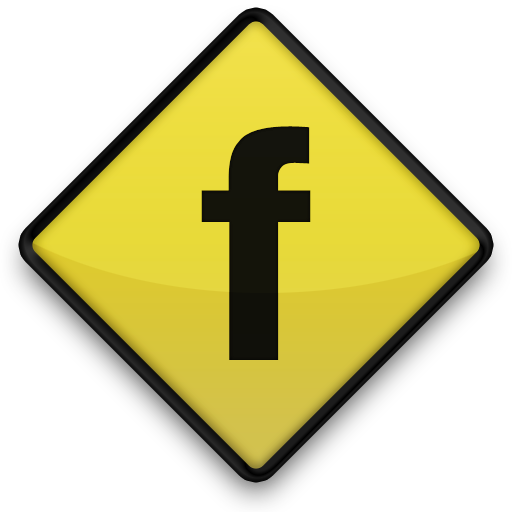 Explore the various interesting places like Mahendra Cave, David's fall and the various lakes of course. You can buy some special souvenirs and enjoy the valley. Spend your night on the beautiful beaches. 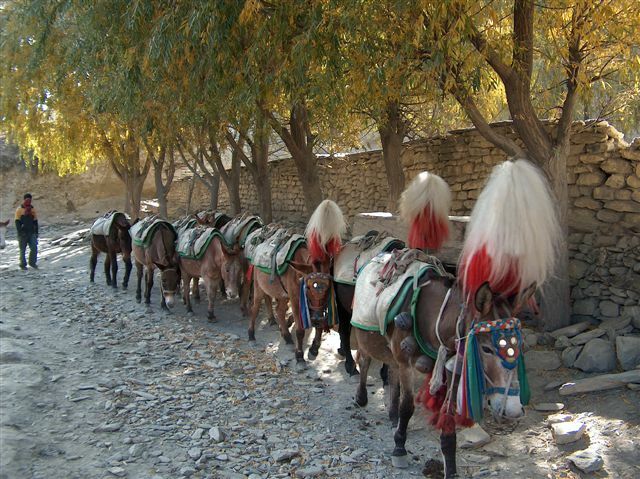 (You can stay longer for short tours such as drives at National parks, rafting, Tibet tours, mountain biking etc). Day 8: Pokhara to Kathmandu, Take a 25 minutes flight or 6/7 hour Drive.